Fifteen Philadelphia public schools have been awarded grants to help students become creative thinkers and better students. 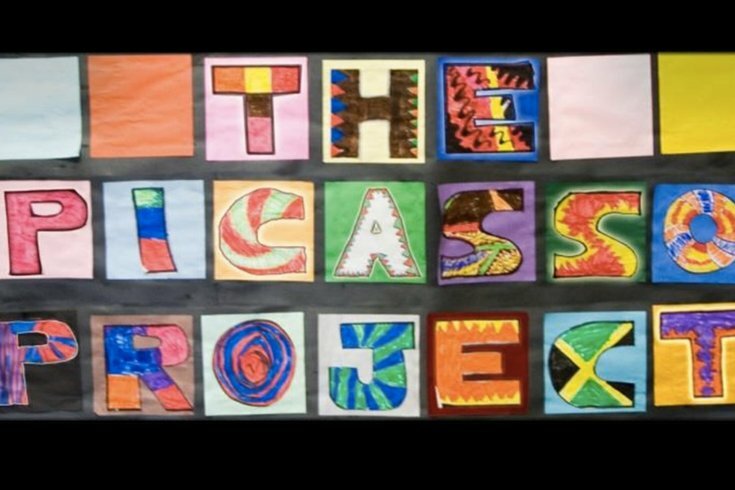 Public Citizens for Children and Youth, a Philadelphia organization, awards Picasso Project grants of up to $5,000 to schools annually to fund projects in the creative, performing and digital arts. PCCY's mission is to develop initiatives to improve the lives of the region's children and advocate for quality health care, child care, public education and family stability. Since the Picasso Project launched in 2002, more than 34,000 children have experienced innovative arts projects through its grants. A theater arts project centered around the life and work of George Washington Carver, influential African-American agricultural leader integrating the arts with Bartram's thriving gardening program, students will explore Carver's legacy through dramatic musical performance, rap and video. Decatur students will create a mixed media indoor mural as well as a "Living Painting" outdoor garden, around the theme of "Indigenous Life and Waterways of Northeast Philadelphia." The mural will depict a scene from the woods of the Poquessing Creek, including indigenous wildlife. Students will create an immersive outdoor art park, featuring sculptural elements, edible gardens and reading benches. The project will transform an empty concrete space into a sensory-rich area where students can learn, grow and be inspired. Hostos will team with Musicopia to form a drum corps which will perform for the community at a culminating event, as well as YouTube performances and an Arts Rally in their neighborhood. An assessment of Corps' progress will be provided by Wolf Brown & Associates, through their nationally calibrated beginning band measures. Fifth- and 8th-grade students will explore narrative and storytelling through printmaking and textile arts with Philadelphia-based artist Sinead Cahill, in collaboration with the Fabric Workshop + Museum. Greenfield arts and literacy teachers will work together to explore the relationship between standards-based arts and ELA content. Culminates with three student-led installations. Students will create a claymation video short focused on an anti-violence theme, reflecting on the personal and societal consequences of violence. This arts-integrated project will incorporate several disciplines, including English writing and spelling, social studies, math, and technology. Jackson students will explore hand drumming practices and poetry from around the world, while simultaneously building literacy skills. Students will create, perform and record original spoken word pieces with rhythmic accompaniment, which explore their cultural histories and their hopes for the future. Eighth-grade students will collect and explore connections among immigrant stories from their families, their school and their neighborhood. Students will be challenged to envision, create, and promote a major project that will require a variety of literacy, art-making and technical skills. Students will devise new ways to tell old tales while creating cross-cultural connections through multiple artistic disciplines – creative writing, audio art and ceramic/mosaic art. Through this poetry & percussion residency, students will explore the power of rhythms and words, and explore their interconnectedness. When these tools are combined, the power to tell a story and express yourself becomes art. Students will learn how to play and compose "rhythm poems," which will be performed for the school community. Students will create paper mache carnival masks in the style of the Puerto Rican Festival de San Sebastian, as well as paper mosaic tiles that will be installed permanently at the school to be enjoyed for years to come. Students will use their carnival mask in a musical performance in the Spring as well as be displayed in a culminating Art Show. Choral students will prepare and perform the musical "The Wiz" for the South Philadelphia community. Students will come together to create and perform a work that has special meaning and direct themes related to the experiences of the students of SPHS. In addition to the performance, students will learn what it takes to succeed as a team in a project that requires accountability and discipline resulting in a school-wide success. Stetson students and staff will highlight their uniqueness through an in-depth exploration of multifaceted printmaking processes. Capturing the identity of a group of individuals provides information about the larger community of the school, and fosters positive peer culture. The project will culminate in a large mural on canvas made from a selection of prints representing each student and participant. The school will gain a beautiful mosaic mural in the library that represents a theme in line with Tacony Academy's school philosophy. The students will get the opportunity to be involved in a large scale, collaborative project which will be displayed in their school for years to come. They will view artwork, use critical-thinking skills and collaboration to come up with unique ideas, and gain new artistic skills. The Jasper String Quartet will work closely with Taggart Elementary's staff and students to collaboratively create and perform a unique musical composition. The piece will be created in response to a book from the 4th grade curriculum, integrating literacy with instrumental music education. U School students will team up with students from Moore College of Art & Design to create unique outfits, from recycled materials sourced from RAIR (Recycled Artist in Residency). Students will go through a design process from brainstorming, to drawing, to execution. The project will culminate with a fashion show/performance at the U School as well as a photo shoot at the RAIR site.